Want to get involved with Imerman Angels? Check out some of the volunteer opportunities we have available! Imerman Angels is always looking for motivated people to help us out in our Chicago office. Help the Cancer Support Program team or fundraise and plan events with our Development team! These opportunities are great for those who are looking to volunteer to further their career. These positions are open until filled and require at least an 8 hour, 2-month commitment. If you are able to stay longer, we would love to have you, but the minimum is 2 months. All opportunities listed below can be structured for an internship and all are unpaid. If interested in any position or if you have any questions, comments, or concerns, please email volunteering@imermanangels.org. 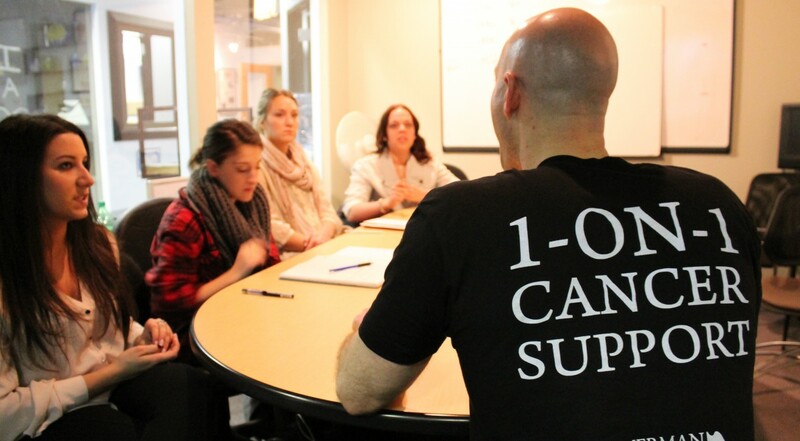 The Volunteer Cancer Support Specialist is the backbone of our 1-on-1 cancer support service and directly facilitates personalized 1-on-1 cancer support for the cancer fighters, survivors, and caregivers who contact us. The key to success for this position is providing outstanding service. The Volunteer Cancer Support Specialist does this while provide a reassuring, calming, nurturing, and empathetic presence and voice. The most important objective for our cancer support program is to ensure that everyone who requests a “Mentor Angel” gets the help they need. A minimum of 2 months, at least 8 hours per week. This position will give its participant(s) a firsthand view of all areas of outreach, specifically through the use of grass-roots efforts, while working for a close-knit nonprofit organization. While Imerman Angels is well-known in Chicago and parts of the Midwest, it is not as well known on the coasts. Participants will have the opportunity to assist with national outreach efforts to ensure Imerman Angels is known all over the country and the world. Assist Director of Programs and Outreach with maintaining, growing, and training our nation-wide outreach volunteers, called Ambassadors. Pin-point hospitals, businesses, corporations, etc. where Imerman Angels should have a presence and help to forge those relationships. Help to organize literature, resources, etc. for our nationwide volunteers. Provide emotional support to those you encounter and ensure the cancer fighters and caregivers receive the support they’re requesting, so no one has to face cancer alone! Other tasks as assigned by the Jackie Director of Programs and Outreach. We are a small office, and we rely upon our abilities to work and enjoying working with each other. Candidates are able to communicate in a professional manner with everyone they come in contact with. The ability to work under a deadline and to multi-task effectively. Strong leadership skills, and the ability to work both with a team and also independently with little instruction. This position will give its participant(s) a firsthand view of outreach in hospitals while working for a close-knit nonprofit organization. Imerman Angels Socials are events where we bring food and drinks to area hospitals and converse with cancer patients and their caregivers. These socials are incredible events where you can truly see why Imerman Angels exists, and how by just being there for someone, you can make a huge difference in someone’s life. Participants will be a team leader for a small group of volunteers and serve as mediators between hospital staff and volunteers, they will also be responsible for transporting materials to and from events. The time commitment can be as few as 5 hours per month, as each hospital typically has one Social event per month. We ask that applicants have availability during at least one of these timeframes: Tuesdays from 10AM-2PM, Tuesdays from 1PM-3: 30 PM, Wednesdays from 10AM-1PM, Thursdays from 10AM-1PM, or Thursdays from 10:30AM-2PM. If more than one of these works with your schedule, you are more than welcome to captain more than one event per month if you are interested. Serve as a point-person for hospital staff and volunteers at Social events. Pick up materials prior to events, and drop materials off after. Serve as a professional, personable, and caring Imerman Angels representative. A desire to help share conversation and care for cancer fighters. A graduate level student/recent graduate in the fields of psychology, social work, or counseling. We are a small office, and we rely upon our abilities to work and enjoying working with each other. Candidates be able to communicate in a professional manner with everyone they come in contact with. Attendance of one social per month at a minimum. Please email volunteering@imermanangels.org to inquire about current social locations, dates, and times. Imerman Angels seeks a dynamic, self-starter to assist with marketing and communications efforts. This internship will give you a firsthand view of all areas of marketing and media while working for a close-knit nonprofit comprised of 12 passionate employees. While Imerman Angels is well known in Chicago and parts of the Midwest, it is not as well known on the coasts. Participants will have the opportunity to assist with national media efforts to ensure Imerman Angels is known all over the country and the world. Update and maintain Imerman Angels’ social media channels, including daily monitoring, posting, scheduling and reporting in various outlets. We strive to keep our media presence engaging, inclusive, and supportive for other cancer nonprofits doing great things! Thank you for your interest in Imerman Angels! With a mission that aims to provide personalized connections that enable 1-on-1 support among cancer fighters, survivors and caregivers, volunteers make all the difference in the world.